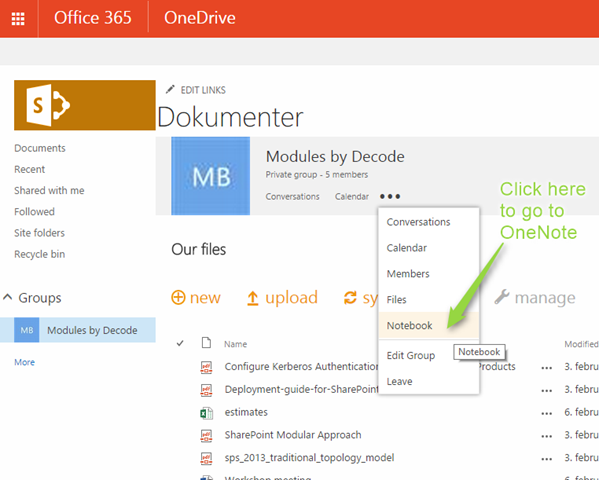 Microsoft extended the Groups in Office 365 with more functionality. 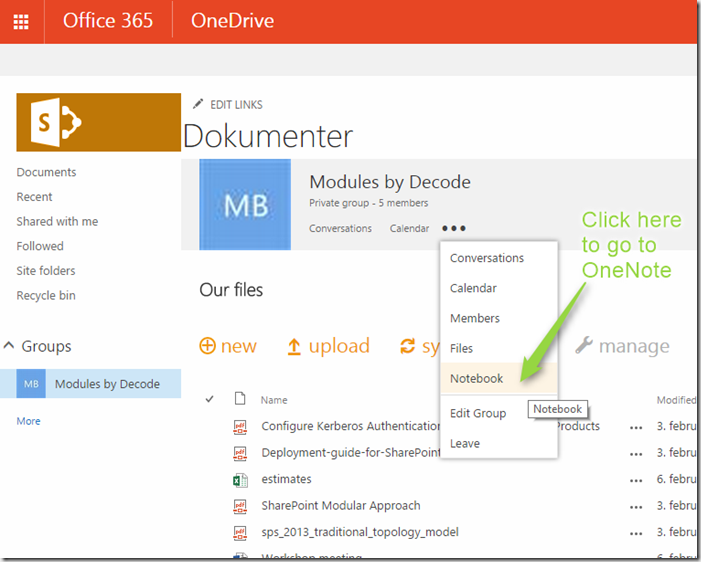 They have included OneNote so you can now have a notebook in your group. When you are in a Group click on the three dots to get the menu and you will find Notebook there as a choice. This will take you to a OneNote notebook for this group. As I mentioned in my earlier post Moving forward with SharePoint and Office 365 this is only phase one of Groups and there are according to Microsoft more to come. I would like to at least see integration with Tasks and Skype for Business etc. SharePoint247.com © 2019. All Rights Reserved.